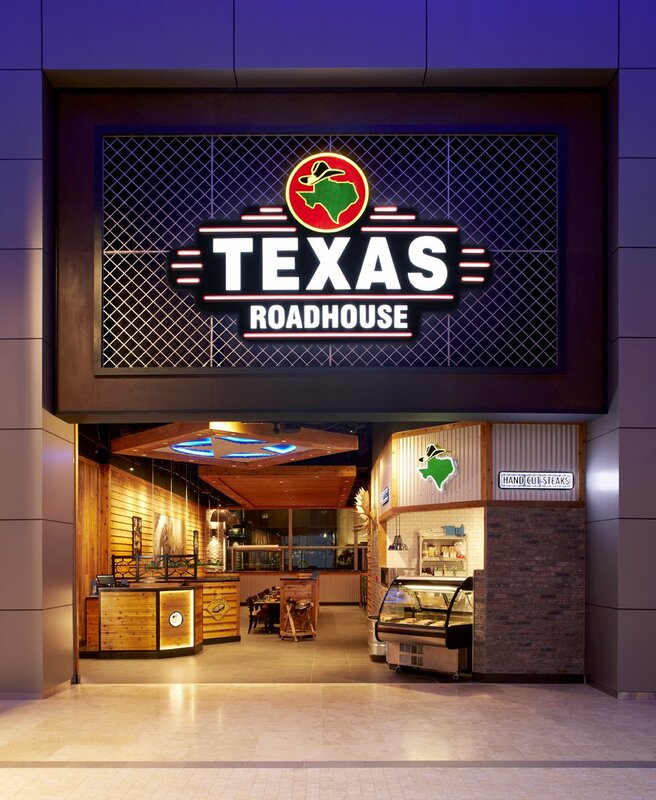 Texas Roadhouse is an American chain restaurants that specializes in steaks with 563 locations throughout 49 U.S. states, and Saudi Arabia, Kuwait, Bahrian, the United Arab Emirates, Qatar, the Philippines, Mexico and Taiwan. 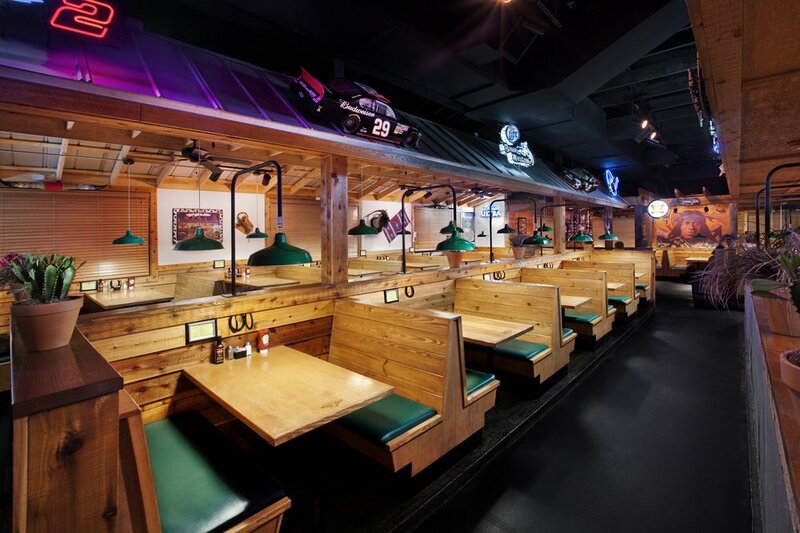 Since 2004, GreenbergFarrow has worked with Texas Roadhouse, providing full architecture, engineering and development services for their new and remodel restaurant programs. GreenbergFarrow and Texas Roadhouse relationship began in 2004 when the restaurant’s corporate leadership realized that they were reinventing the wheel every time they entered a new market. They would hire local architects, civil engineers, and site development consultants, then have to get each up to speed about their corporate preferences. With experience in dozens of markets, GreenbergFarrow knew what permitting hoops might be difficult, and how to tweak designs to satisfy local concerns. After a couple of projects, GreenbergFarrow understood and could anticipate Texas Roadhouse’s priorities, and were able to streamline their process. The delivery process of taking a project from start to completion is simplified. Texas Roadhouse weighs new markets and locations mostly in-house. When a potential site is identified and a real estate agreement is imminent, GreenbergFarrow essentially embeds itself and remains there until the building is complete. “We work so closely with them that we almost feel like we’re an extension of their company,” — says Jennifer Mowen, an Associate Principal in the Chicago office. Before the final lease is signed, GreenbergFarrow’s team spends two or three weeks on due diligence, getting to know every aspect of the new site, from soil stability to local permitting fees. Once that analysis is finished, the information moves up to Texas Roadhouse’s corporate level for a final greenlighting. The chain’s strong experience in vetting sites in advance means that 90 percent of projects move ahead to the next phase. Once GreenbergFarrow gets the OK, design and building goes into overdrive—it’s typically one year from the signing of the lease agreement to the serving of the first meal. 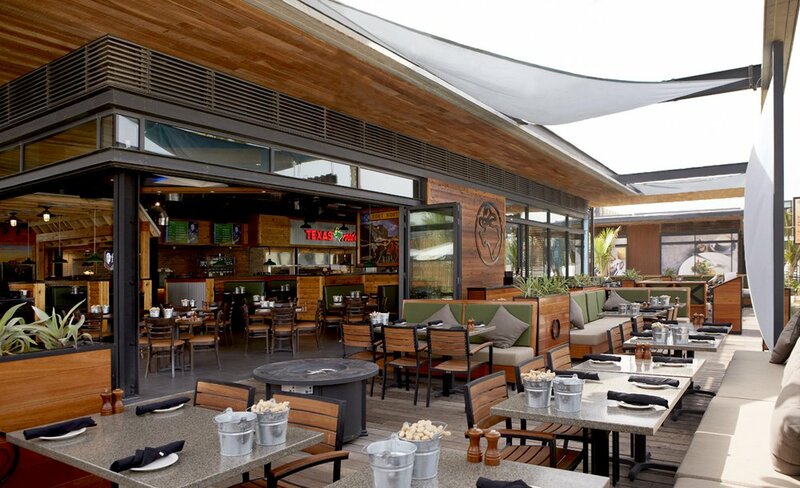 GreenbergFarrow has maintained a national consulting partnership with Texas Roadhouse, providing full architecture, engineering and development services for their new restaurant programs. Services extend beyond the standard prototype management and production of A/E construction documents, and include non-prototype development, public representation of the brand, project and risk management, consultant coordination, real estate evaluation, utility coordination and on-line project management. In 2010, GreenbergFarrow further expanded services for Texas Roadhouse as they launched their international growth into the Middle East. GreenbergFarrow partnered with M.H. Alshaya Co. and Texas Roadhouse Global Development team to provide schematic designs with kitchen layouts, presentation documents, design development, and construction documents. Since then, GreenbergFarrow has worked on locations in China, Philippines, Mexico and Taiwan.